News and informational updates from the USDA Service Center in Eads, Kiowa County, Colorado. 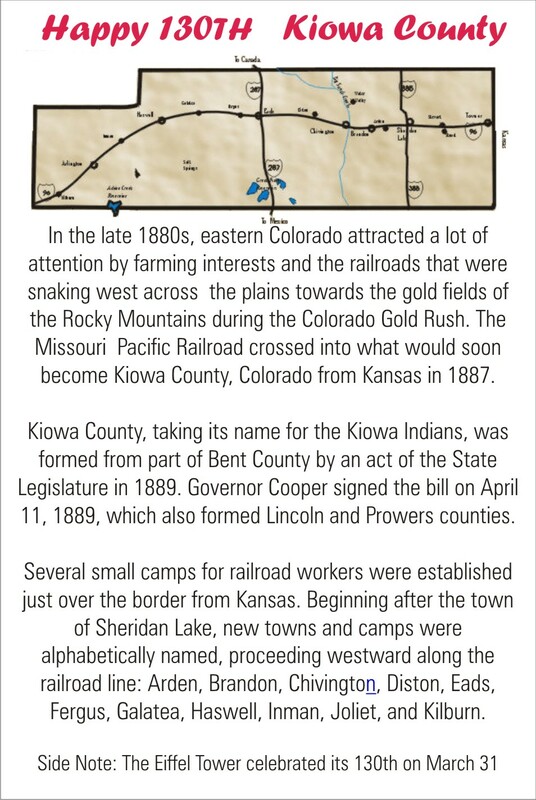 Articles in the Kiowa County, Colorado, Press for the week ending April 6, 2019. The Colorado Department of Transportation will being work Monday on a six mile stretch of Highway 96 in Pueblo County as crews complete pipe work in the area. The full closure is expected to be in effect from April 8-12 from Boone to the junction with Highway 50. Motorists will be detoured on to Highway 50 and Highway 209. Only local traffic will be allowed to use Highway 96 during the closure. The project is part of overall improvements that include repaving portions of Highway 96 to improve safety and increase the lifespan of the road. Bridge repairs are also included.